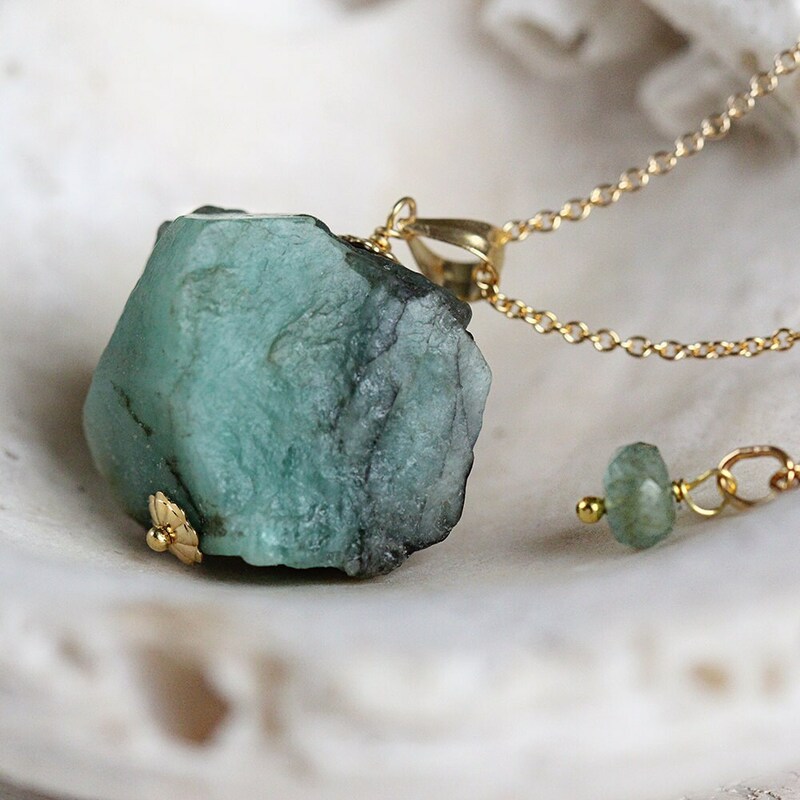 This raw Emerald stone necklace is unique and beautiful. 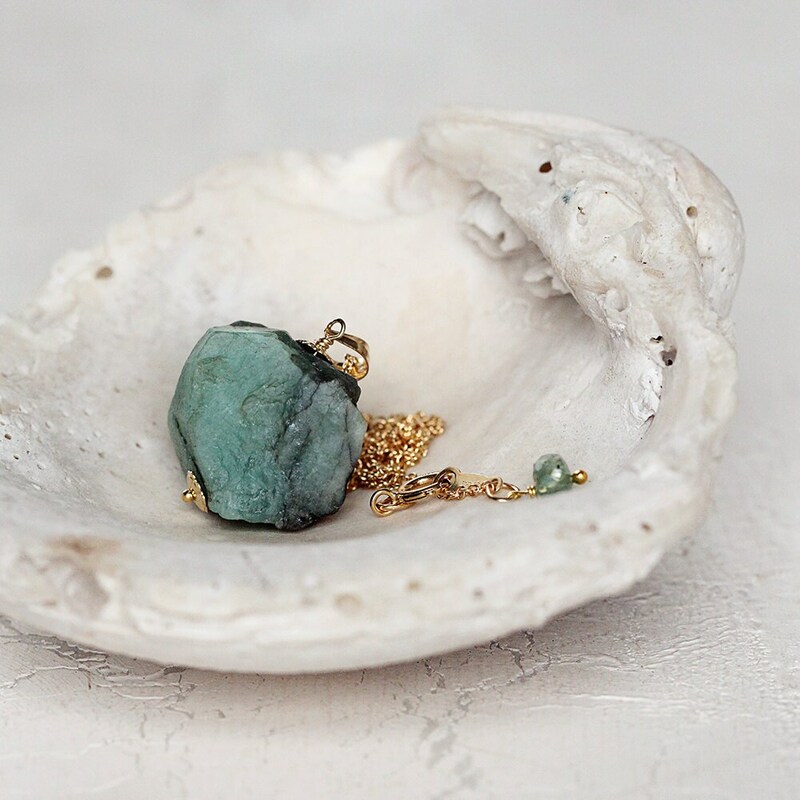 It features a natural, precious Emerald stone pendant hanging from a 14k gold filled chain. Easy elegance at it's best - just throw it on with any outfit - jeans, leggings, a dress, or a even suit for work. 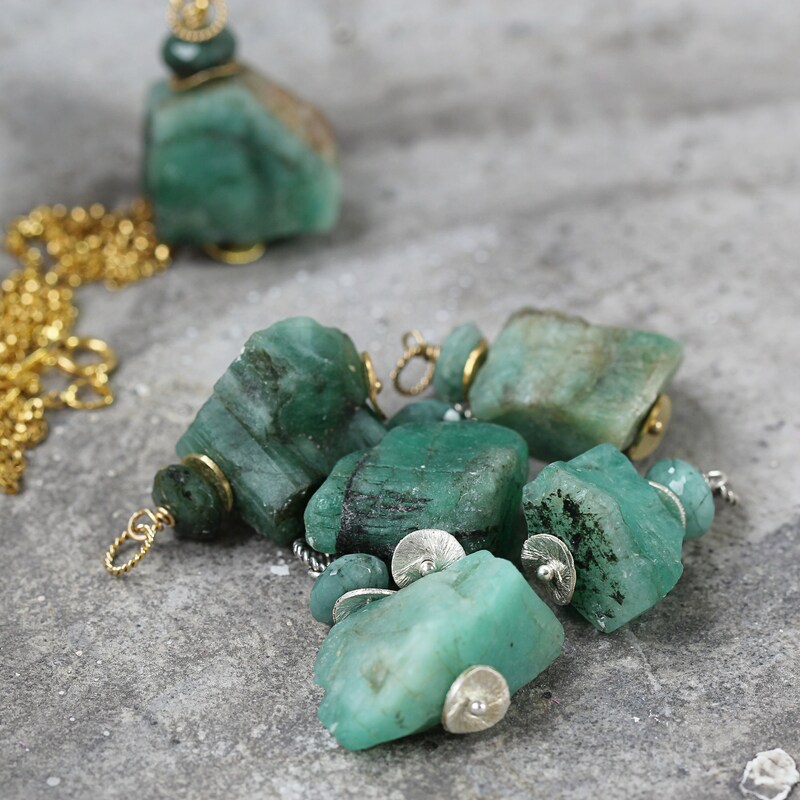 Featuring a beautiful raw, chunky Emerald stone in it's natural, unadulterated form. These are such great stones, lovingly cut and drilled by an English gem and stone cutter who always shows me the most wonderful, unique and raw treasures! 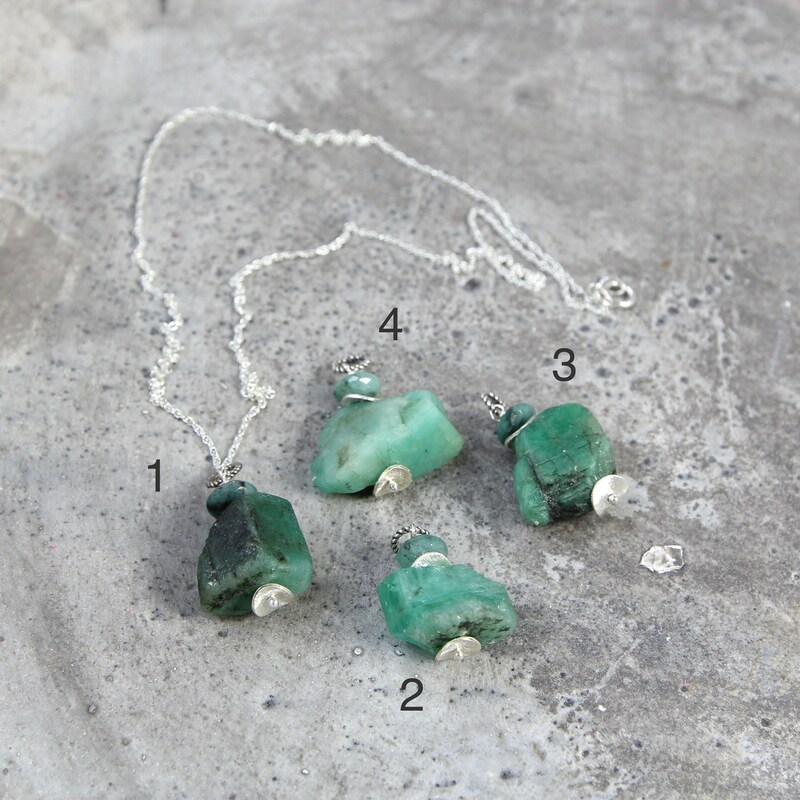 Each Emerald stone is unique and will vary a little in colour, size and shape - please select your pendant stone from the numbered photo and then select the corresponding number from the drop down menu. If a number is not showing it means it has sold. 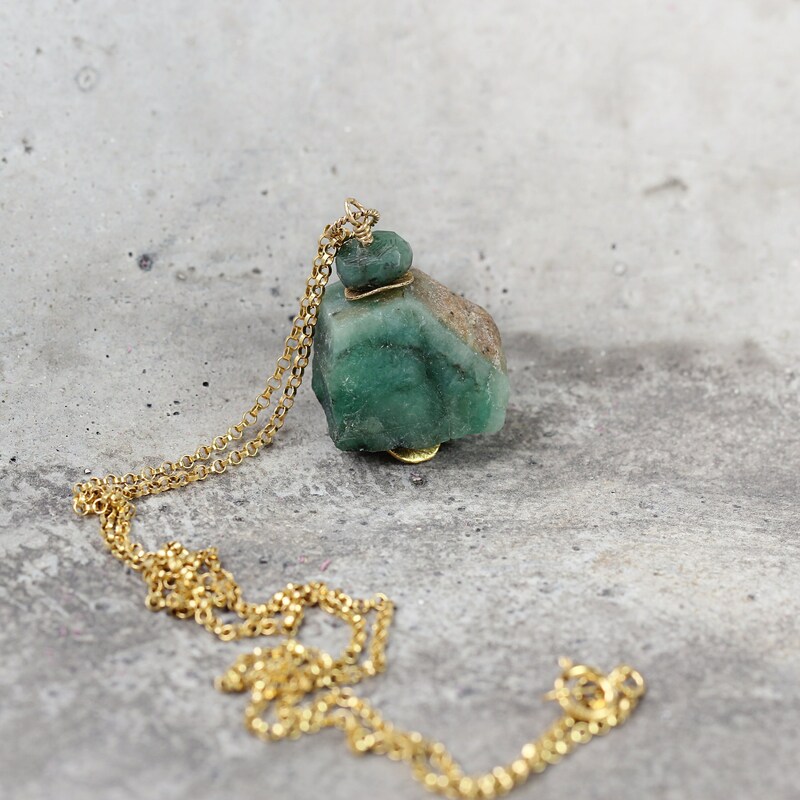 The Emerald stone is topped and tailed with a gorgeous little 14k gold filled bead cap, and hung from a 14k gold filled (rolled gold) necklace of your choice of either 16 or 18 inches. Finished with a sparkling little Emerald bead at the clasp, ensuring you'll look pretty from behind too. The Emerald is the birthstone for May, and is one of only four 'precious' gemstones (including Diamond, Ruby and Sapphire) and has adorned the crowns and royal jewels of many countries for centuries. It was a favourite jewel of Queen Cleopatra and the Ancient Romans dedicated this stone to Venus, the goddess of love, beauty and romance. 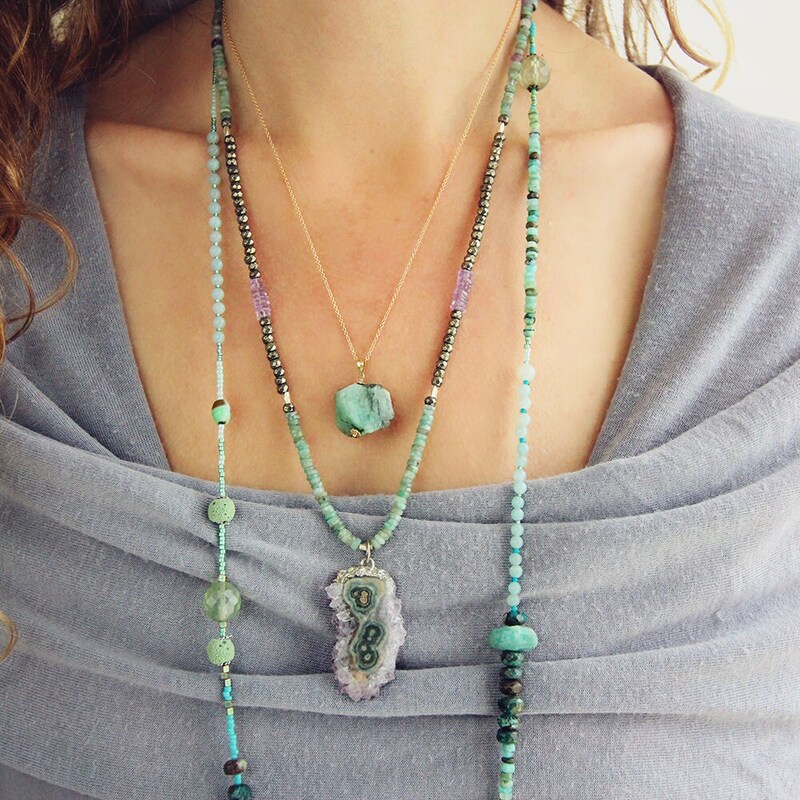 The Emerald has always been associated with fertility, rebirth and love, making it perfect for mothers and expectant mothers. 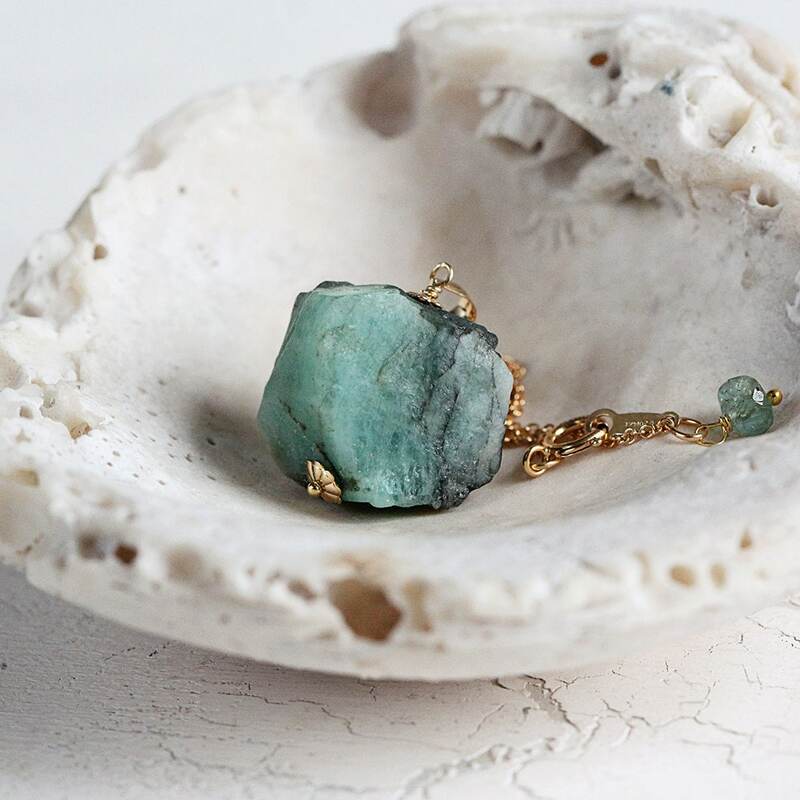 Ancient folklore tells that wearing Emeralds can positively contribute to one's romantic relationships as well as friendships. 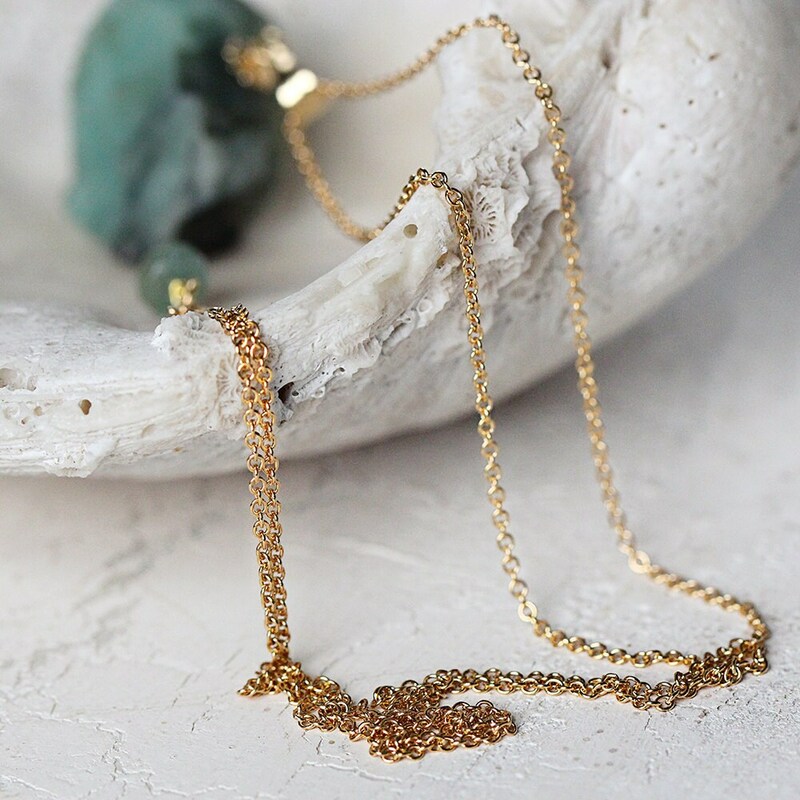 It is a stone of serenity - a symbol of hope and inspiration, said to soothe emotions and enhance our sense of well-being, making this gemstone necklace is a gift that keeps on giving. 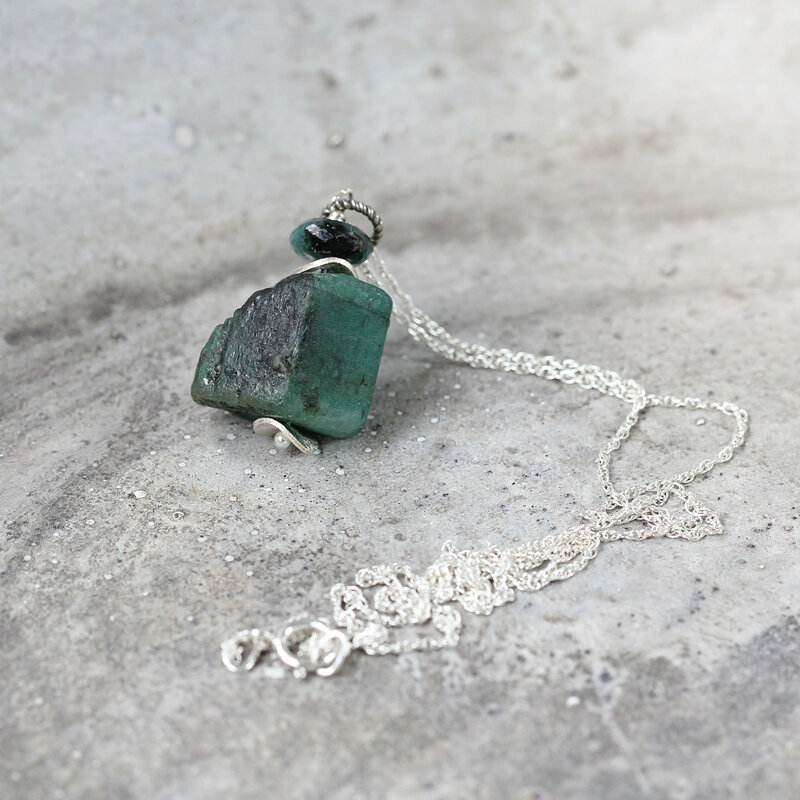 This exquisite Emerald pendant necklace makes a gorgeous gift for a loved-one, family member, friend, or co-worker, especially for the woman, or girl, who loves nature, jewellery, gemstones, and who would enjoy the benefits that the Emerald and stone offers. 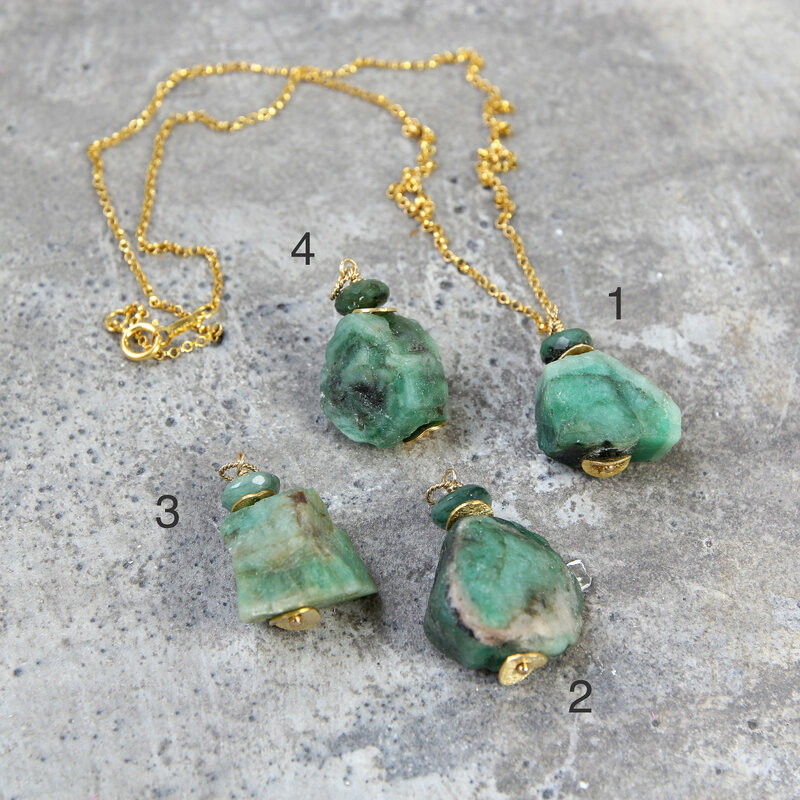 * Emerald stone size : approx 1.5 x 1.5cm. Beautiful. Bought this for my mom and she loves it.